The Barrie A. and Deedee Wigmore Foundation and the Saskatchewan Wheat Pool have generously supported the realization of the exhibit King Wheat. Agriculture dominated the Prairie economy until the 1950s and is still one of its driving forces. Initially, wheat was the main cash crop. Manitoba Number One Northern, a special grade of hard red spring wheat introduced in the 1870s, quickly gained global renown as the best white bread milling wheat, establishing the Prairies' reputation as "the world's bread basket." Today, a great diversity of crops and livestock is produced, and farming shares the stage with various urban and resource industries in the Prairie economy. This exhibit features a full-scale replica of a Prairie grain elevator. 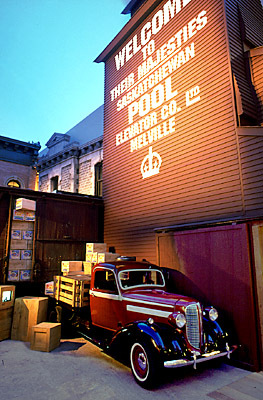 The authentic exterior re-creates the Saskatchewan Wheat Pool elevator at Melville, Saskatchewan as it appeared during the royal tour of King George VI and Queen Elizabeth in 1939. Often seen as a symbol of rural life in the West, the grain elevator is now rapidly disappearing from the Prairie landscape, prompting efforts to preserve this characteristic architecture. The interior of the elevator tells the wider story of Prairie economic and social life. It highlights the role of self-help movements such as the Saskatchewan Wheat Pool, a farmer-owned elevator company that eventually became the largest producer cooperative in the world. It also includes a sampling of Prairie art works (in reproduction) and a collection of folk art carvings by Saskatchewan homesteader Fred Moulding, who depicts typical farm activities of the 1920s and 1930s. King Wheat also reveals the inner workings of the huge wooden elevators and the patterns of the wheat trade during the 1920s and 1930s - a story of "boom and bust." 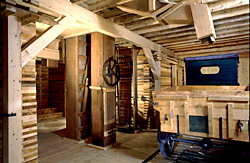 Authentic machinery and artifacts from early twentieth-century Prairie elevators have been installed, showing how the elevator technology was used to sort and lift huge loads of grain efficiently. At the heart of the King Wheat exhibit is the recreation of a historic photograph showing the day, June 26, 1924, when Saskatchewan Wheat Pool became a reality, as more than 45,000 farmers had signed contracts to commit their wheat crops to the new farmer-controlled marketing cooperative. A video recounts the decades-long struggle of farmers to obtain decent prices for their product and the political currents that led them to organize, while displays explain the patterns of wheat trade and the spread of cooperative ideas which helped to shape Prairie society. Equally important is the story of domestic farm life in those years. 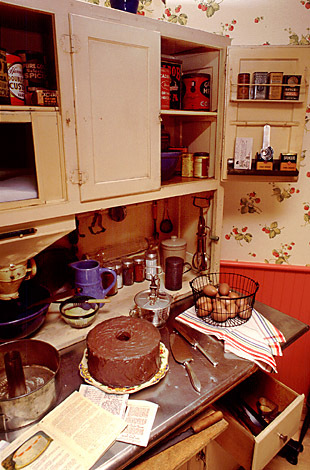 Visitors can take a seat in a typical 1930s farm kitchen to view a 12-minute video on the Prairies, its people and the meeting of past and present. 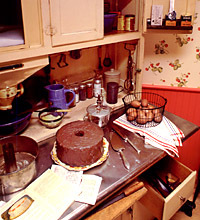 The 1930s kitchen recreated here, with baking supplies arrayed in a Hoosier cabinet, was the centre of activity in a typical farm home. Of special note are the detailed displays of artifacts from both the 1939 royal visit and the town of Melville, a railway divisional point and local service centre to a wheat-oriented farming district. The largest artifact in King Wheat is a 1926 Model T Ford adapted as a half-ton truck, a hybrid vehicle used widely during the "Dirty Thirties." While the 1920s had been a boom period in agriculture, few could afford to buy vehicles during the ensuing decade of drought and depression. Over the years, a farmer would make his own modifications, usually adding tiers to the truck box to increase grain handling capacity. This restored vehicle appears as it would have after 13 years of intensive service on the farm. The industrial revolution and the growth of cities in western Europe and eastern North America during the nineteenth century greatly increased the demand for food crops. These events accelerated the spread of agriculture into the temperate grasslands of the world. Large-scale commercial farming soon took root in Canada's western interior, and wheat became its most important export. By the 1900s, wheat farming was the backbone of the Prairie economy and its way of life. The King Wheat exhibit is "set" in Melville, Saskatchewan, a town that flourished as a result of being both a major division point on the Grand Trunk Pacific Railway (later part of Canadian National Railways) and a service centre for a large farming district. It was an important grain delivery point and home to agricultural industries such as flour mills, creameries and hatcheries. A hospital, schools, churches and a lively cultural and sports agenda made the town a magnet for visitors and customers. Melville's thriving community and business sector, spawned by the wheat economy, are the subject of detailed displays. Melville was also a whistle-stop on the wildly successful visit of the King and Queen to Canada in 1939. Displays and a scrap book invite visitors to relive this moment, with historic photographs, newspaper clippings, souvenir programmes and collectibles, as well as a gold-painted telephone from the royal train. 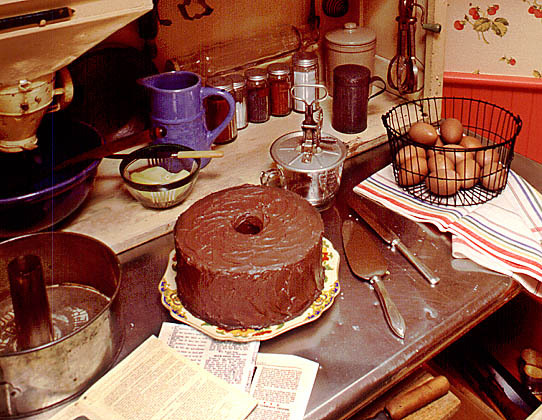 The most important room in most grain growers' homes was the kitchen, where much of the housework was done and the family relaxed. The wooden elevator, long a symbol of the Canadian Prairies, is fast dwindling in numbers. Improvements in transportation and construction, and the end of historic grain shipping subsidies, have fuelled the rise of larger, regional grain-holding towers. The first grain elevators appeared on the Prairies in the 1870s, and during the next sixty years nearly 6,000 were built. These feats of engineering were spaced seven to eleven miles apart along the railway lines. Virtually every Prairie village had one or two elevators, while towns usually had three or more. Today, about a thousand wooden elevators remain. The traditional elevator was in effect a vertical warehouse for storing from 25,000 to 35,000 bushels of grain. 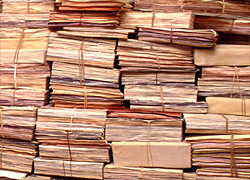 Stacked planks formed the thick walls of its bins, able to withstand the immense pressure of tons of grain. A combination of mechanical lift devices and gravity flow was used to unload the grain, lift it to the top, distribute it to the assigned bins for storage, and eventually direct it to a waiting railroad boxcar. As commercial farming took root, local farmers and businessmen began to build their own elevators. Styles and sizes varied accordingly. With the growth of large elevator companies in the 1920s, a standard design emerged. Construction crews travelled from town to town across the Prairies erecting new towering wooden elevators with amazing speed, as local inhabitants gazed in awe. The Canada Hall's replica grain elevator is patterned after Saskatchewan Wheat Pool No. 100, which stood in Melville, Saskatchewan. 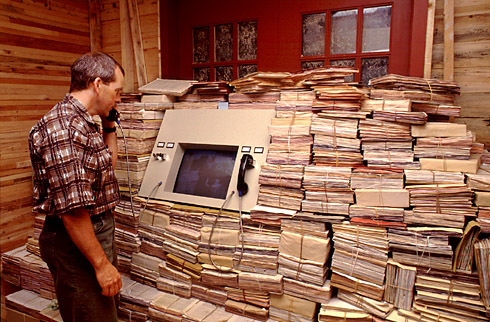 It includes a central work area with original grain lift mechanisms recovered from sites demolished in recent years, including one in Yellowgrass, Saskatchewan. Authentic pieces incorporated in the elevator include a man-lift, elevator belts and cups, grain chutes and elevation legs, steel floor grates, a weigh scale and assorted tools. The interior of the grain elevator, showing the operator's main controls and an "Auto-Truck" (right) unloading wheat inside the grain elevator. The elevator is in effect a vertical warehouse for storing and handling grain. "The pool is the world's largest farm, the world's largest shipper of wheat, the Biggest Business in Canada  and it was built by the Man Behind the Plow." From the 1880s, "King Wheat" was in international demand, and the thousands of immigrants flowing into the Canadian Prairies from eastern Canada, Britain, and Central and Eastern Europe could talk of little else. The western grasslands were rapidly turned into farmland. Wheat was shipped through a grain-handling system ruled by private elevator companies. Unfair practices left farmers like William Motherwell, future Saskatchewan and federal Minister of Agriculture, angry and frustrated: "There are very few today who know how near the people were to resorting to violence!" When the First World War broke out in 1914, the demand for wheat was unprecedented, and all energies were devoted to the crop. The Canadian Wheat Board was formed as a temporary war measure to market the country's entire crop, and this stabilized wheat prices for the first time. With the end of the war and dissolution of the Wheat Board, prices began to plummet and farmers were in crisis. The powerful Winnipeg Grain Exchange prepared to recapture the wheat market. Resistance arose from groups like the Farmers' Union and the Saskatchewan Grain Grower's Association. Energetic members like A. J. MacPhail and Violet McNaughton believed the solution was for farmers to combine their crop and market it themselves. They invited the dynamic Californian cooperative organizer Aaron Sapiro to Western Canada, where he explained how producers could sign five-year contracts to pool all their wheat. At least 50 per cent of the province's acreage would have to be committed. The campaign that followed was a year-long whirlwind of speeches, canvassing and conferences. The recruiting drive began in earnest in March 1924 with an Act of the Saskatchewan Legislature and ended on June 26, 1924, when the Saskatchewan Wheat Pool went "over the top." The target of half the province's wheat acreage had been reached: 6,433,779 acres backed by contracts with 45,725 farmers. As the 1924 harvest approached, Pool directors soon realized the company had to build its own elevators. Pool elevator No. 1 opened in Bulyea, Saskatchewan on July 1, 1925. By 1930, the Pool would have built or acquired close to a thousand country elevators, purchased two Lakehead terminals and a terminal in Buffalo, N.Y., and become the largest cooperative of agricultural products in the world. By 1910, Prairie farmers began organizing province-wide cooperatives to ship their grain to market, an important stepping stone in the development of the Prairie wheat pool movement that emerged in the twenties. Promoters of the Saskatchewan Wheat Pool began organizing in 1924. Within a year, over 45,000 farmers signed contracts to join the new marketing cooperative. The royal family has always attracted attention as part of the cloistered elite of British society. This was especially true in 1939, the year of the visit to Canada by King George VI and Queen Elizabeth. It was the first time that reigning British monarchs would set foot on Canadian soil, and anticipation of the event created an uproar of civic activity and patriotism across the country. Newspaper headlines and magazine articles glamorized the King, the Queen and their children (princesses Elizabeth and Margaret, who did not accompany their parents). The tour would provide a rare opportunity to see royalty in person. The Canada Hall's grain elevator is decorated as it appeared during the royal couple's stop on June 3, 1939, inscribed with the message "Welcome to Their Majesties." Over 60,000 people thronged to Melville that day to catch a glimpse of the monarchs. They came by car, by horse and buggy, and even on open trucks, overwhelming the rural town of 3,000 inhabitants. The visit was to be a ten-minute whistle-stop, but in view of the magnitude of the crowd, organizers agreed to stop for half an hour. The 1939 royal tour was extremely well planned and managed, involving much of Canada's institutional resources: the RCMP, the armed forces, both national railways, government departments, the Provinces, and cities and towns everywhere. Huge efforts were made to have the Sovereign and his consort meet as many Canadians as possible and to be seen by them in turn. The tour started in Quebec City when the King and Queen disembarked on May 17. They crossed the country twice by rail, visited Washington, D.C., and finally sailed back to Britain from Halifax on June 15.